Reports had emerged that the Government would present a full budget instead of an interim one on February 1. Terming as “serious” reports that the Centre was planning to present a regular budget, as against an interim one, Congress spokesperson Manish Tewari demanded that it should follow constitutional propriety and only present a vote-on-account on February 1, 2019, ahead of general elections. 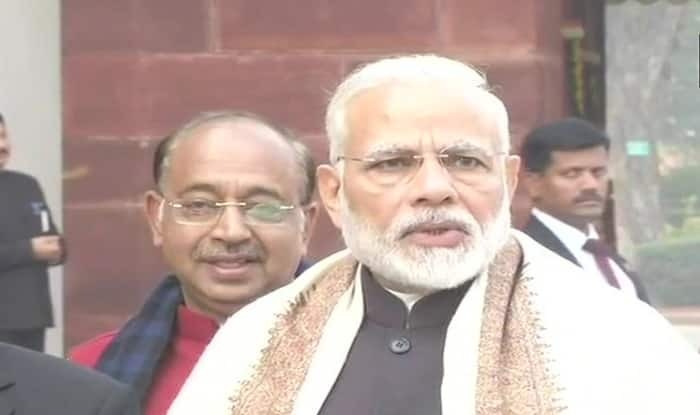 BJP sources had indicated that the Modi government is likely to present a full-fledged budget with a slew of announcements on welfare measures relating to farmers, youth and women. “A budget is budget. The government is likely to present a full-fledged budget. There is no such rule that the government before elections should not present a budget for the entire year. The new government may make changes after the polls if it so wishes,” a BJP source said. Tewari said if those reports were correct, it would be “a flagrant violation” of all parliamentary conventions, procedures and traditions that have been followed since the Constitution came into effect. “The NDA-BJP government does not have the electoral mandate and it does not have the electoral legitimacy to present six full budgets in five years,” Tewari told mediapersons. Tewari’s party colleague Anand Sharma said the Government’s intent in doing so was questionable and termed it a “desperate attempt” to make “grandiose announcement and hoodwink people” in contravention of the Constitution. “The BJP government’s move to present a regular budget few months before the elections goes against all norms, rules and established Parliamentary practices. The term of the government is five years, which ends in May 2019. The government presented five full budgets and can only present a vote on account,” he said. Sharma, a former union minister, said for a budget for 12 months, the Government must have the same tenure. A tenure of three months and a budget for one year is “bizarre and unprecedented”, he said, noting that the budget is followed by the Finance Bill that must be adopted in 75 days.